See the kid-friendly filter on our menu for lots of options. These dinners are designed with your choosiest little eaters in mind. Dinners range from meatballs to pasta to tacos. Pick one kid-friendly dinner and serve it to your littles over multiple days while you enjoy more adult options. Add a note to your Elf to "deconstruct" some dinners (package the pasta and sauce separately). 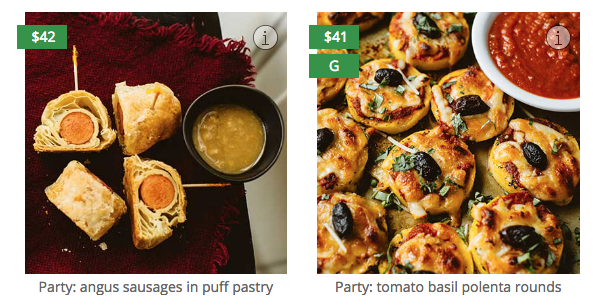 The party bites menu has lots of bite-sized options for the kids, like mini hot dogs and mini pizzas. Check sides for more options for kids, like tarts and secretly-healthy brownies.